One of all reason why people raise the duck as poultry is to earn the egg. As we know, duck eggs have their own profitable ear that really has big market in society. Some restaurant not only needs the cattle to duck peking menu but also need the eggs to produce great and tasty cuisine. Some people may choose to reprocess the egg into new product like salted egg, but it doesn’t mean that you can’t sell it as raw. Both raw eggs and salted egg has their own market which is as same as big each other. Talk about duck egg, well there is no people who don’t know about it. 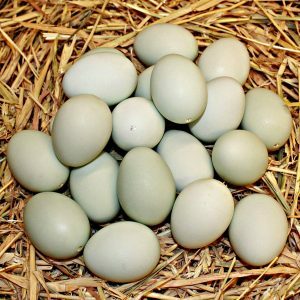 The green-tosca which is usually bigger than chicken egg is the main characteristic of duck egg. Actually even has their own market, basically people won’t to buy it because the duck egg is little bit pricey than chicken egg. But fortunately people still choose duck egg as their dish complexion. To make you easier when selling the duck eggs and also faster, here are some guidelines to make it come true. Well everything we do needs budget. To living, growth, and socialized we does need budget so does to start business. Basically to start business we need well budget that covered well our work. You do need big budget but don’t worry we can loss something that we can loss for. To become duck eggs seller you can also being duck farmer. But if you don’t have enough budget, well has relation with them will be one best solution. Actually you can buy the egg directly from the farm to resell it again in the market. So the farmer becomes your supplier to supply your egg. It would be more practical than you have to raise a million ducks. It can also your alternative way if you want start this business but just has limited ground. And the conclusion is to start something but you are blockage by something, just find some alternatives. Built a relation for business thing is really important. Actually some restaurants which sell egg basic meal needs egg supplier which has friendly price surely. Supplier and buyer should be connected as one and make great partnership. With great relationship, they would subscribe and buy your egg everyday so your business flows well. The storage that you choose before also affects the quality. The dry storage would be more guaranteed the quality. The egg is perishable when you put it in wet place. Even you produce salted egg which boiled before and sell for ripe, save in the dry storage also suggested. Therefore, there is someone need perish egg to be consume, right? The position when you arrange the egg after you got it also affects the business. Arrange the eggs as safe as you can because sometimes customers come together that make you can’t control them. The bad arrangement will make it fall and broke. Basically it used when you got the egg and not sell it yet but also when you peddle it. As egg seller of course you need stock. Stock is some quantity that you prepare before sell something to your customer. Actually this stock should be suitable with customer request. Don’t do any restock in high quantity if there is added request from your customer. That’s because egg has limited time, if you restock it too long so it will perish and you got loss. You won’t that thing happen to you, right? As beginner you can stock a little bit eggs, try it for 3 or 4 days. If there are subscribers or high costumer request, so you can restock it more. Well this is the main thing that affects your business a lot. Actually, people who had business in culinary who really need egg supplier or any customer egg are looking for the cheapest price of egg. It would be great if you can sell it for cheap but can still ear profit of it and the seller should like that. Actually many people who sell the duck egg and it make competition become more complex. To make you survive on this business, make sure that you make the price as same as normally price in the market. That’s all the guideline that can make you easier and faster to sell the duck egg. Those points will be useless if you didn’t have spirit, discipline, and commitment to raise this business. Strong mental also needed to avoid you from stress. As we know all people effort can’t be last working forever. There is loss and profit, so don’t too think about it too much. Just enjoy the flow and slow. Don’t push your self if you feel so depressed and difficult and can’t continue it anymore. It may not your suitable business.